The University of Iowa is well known nationally for the breadth and depth of its skin health services, with more than half of our doctors listed among America’s Best Doctors in the field of dermatology. 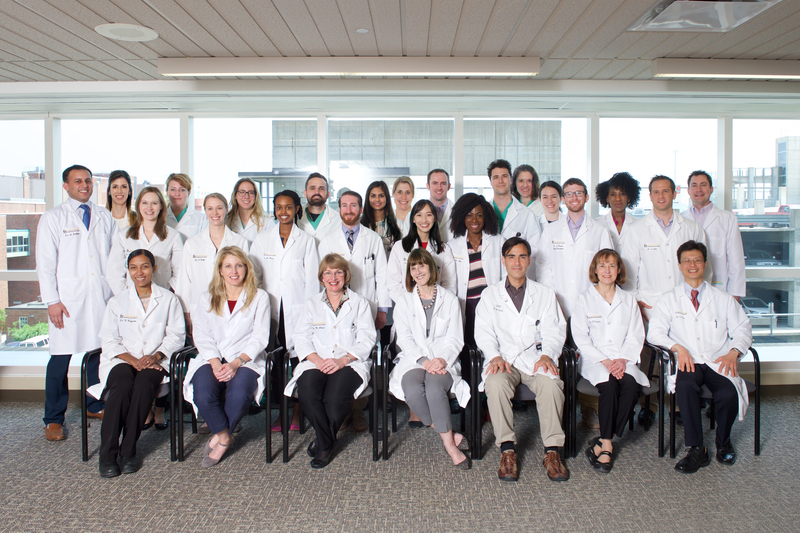 The Department of Dermatology is equally balanced with experienced, skilled senior members and energetic, creative junior faculty members collaborating on patient care, research, and education. The department treats skin diseases and conditions including acne, epidemiology of melanoma, blistering diseases of the skin, psoriasis, and epidermal cell physiology, while also providing general dermatology care. Services we offer include cosmetic dermatology, skin remedies, and both photo and retinoid therapies. We also strongly promote the education of dermatology and skin cancer prevention to our patients. In order to provide the best patient care possible, we staff full-time researchers who work diligently to find cures and preventions for diseases and conditions of the skin. This research advances our scientific knowledge, and in turn, we share this knowledge with our students. We have outstanding professional training for fellows, residents, and medical students in the latest skills and knowledge of dermatology. All students work in our clinic and laboratories. The department is located in modern quarters including a clinic with 19 exam rooms, eight surgery rooms, two laser surgery rooms and an ultraviolet therapy room. All of these facilities are immediately below the departmental offices of faculty and residents. Our state-of-the-art departmental research laboratories are within walking distance of the department. The department of Dermatology also staffs an outpatient consultation service at the Iowa City Veterans Affairs Medical Center. This facility is located adjacent to University of Iowa Hospitals and Clinics.